Died: 3 November 1937, Johannesburg, South Africa. G.S. Burt Andrews was the son of British civil engineer George R Andrews* and was educated at a private school. For four-and-a-half years he worked as an assistant in the Engineer's Department of the Bournemouth Improvement Commissioners, gaining valuable insight into town improvement works. In 1886 he became an assistant in the Engineer's Department of the Hornsey Local Board, London. He came to Johannesburg in 1889, probably with his father who arrived in November that year, and practised as an engineer and architect. In June 1892 he won a prize of five guineas for the best plan of a public garden on the site of Joubert Park. Later that year he was employed by the town's Sanitary Committee (its only local authority at the time) to lay out the garden and take levels. In July 1893 he was appointed as building inspector and subsequently as assistant town engineer of Johannesburg under Charles Aburrow*, a post which he held until the outbreak of the Anglo-Boer War in 1899. Andrews was an early member of the South African Association of Engineers and Architects, served as its honorary secretary and treasurer from 1895 to 1907, as president for 1907/8, and edited the association's early Proceedings for a number of years. He was co-author with Charles Aburrow of a paper on "Isolation hospitals", read before the Association in April 1894 and published in its Proceedings (Vol. 1, pp. 107-112). He was at that time a member of the (British) Society of Architects, and soon thereafter an associate member (later a member) of the (British) Institution of Civil Engineers. During the Anglo-Boer War (1899-1902) Andrews moved to Pietermaritzburg where he obtained temporary employment in the borough engineer's department. However, in February 1900 he went on active service with the Imperial Light Infantry and took part in many battles. He returned to Johannesburg towards the end of that year to take up his previous post. Upon the dismissal of Charles Aburrow, Andrews was appointed acting town engineer of Johannesburg in May 1901, and in June 1902 became deputy town engineer under D.C. Leitch*. Both were highly competent men and served Johannesburg well during a period of rapid progress and reconstruction. 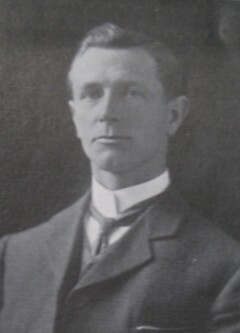 Andrews succeeded Leitch as town engineer in January 1905 and remained in the post until his retirement in September 1927. Around 1905-1907 he was one of the meteorological observers (of rainfall, air pressure, air temperature and humidity) of the Meteorological Department of the Transvaal Colony. His diary and some notebooks in which he recorded survey data during the years 1898-1903 are kept in the Strange Collection of the Johannesburg Public Library. The South African Association of Engineers and Architects was replaced in June 1898 by the South African Association of Engineers, with the same membership and office bearers. A separate society, the Transvaal Association (later Institute) of Architects was founded, and Andrews served on its first council in 1902, and later as its president. Also in 1902 he became a foundation member of the South African Association for the Advancement of Science and was elected a member of its council in 1904. He later also joined the (British) Institution of Mechanical Engineers and was elected a Fellow of the Royal Institute of British Architects. In 1921 he initiated an exhibition of town planning at the Transvaal University College (soon to become the University of the Witwatersrand). After his retirement as town engineer of Johannesburg in 1927 Andrews practised as a consultant civil engineer in Johannesburg for some time. He was a prominent freemason and was married to Annie Bell. National Automated Archival Information Retrieval System (NAAIRS). http://www.national.archives.gov.za/naairs.htm Repository RSA, Documents relating to Andrews, George Samuel Burt. Orr, J. Presidential address. Annual Proceedings of the Associated Scientific and Technical Societies of South Africa, 1938, pp.15-86. Shorten, J.R. The Johannesburg saga (pp. 569-572, 647). Johannesburg: J.R. Shorten, 1970. South African Association for the Advancement of Science. Report, 1903, 1904, 1918: Lists of members and office bearers. South African Association of Engineers and Architects. Proceedings, 1892-4, Vol. 1; 1897-8, Vol. 4. South African Who's Who, 1908, 1927/8, 1931/2, 1936.